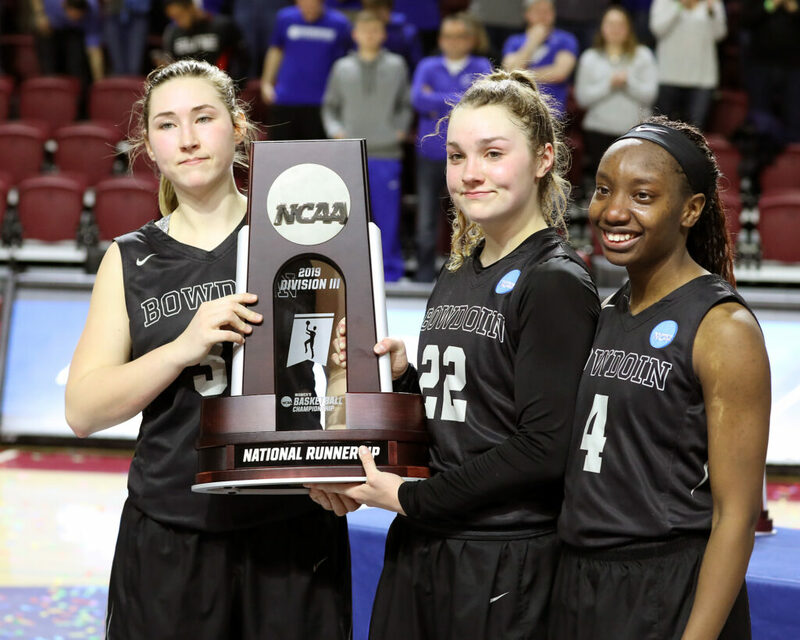 Bowdoin captains Hannah Graham, left, Abby Kelly and Taylor Choate hold the runner-up trophy after Bowdoin lost in the NCAA Division III championship game for the second year in a row. 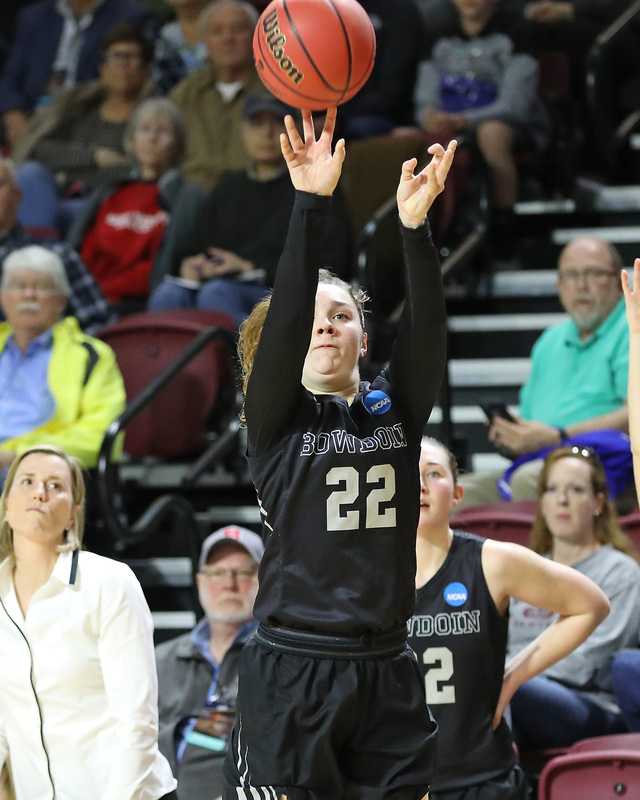 Senior guard Abby Roy led Bowdoin with 27 points, nine rebounds, six assists and four steals in her final game. 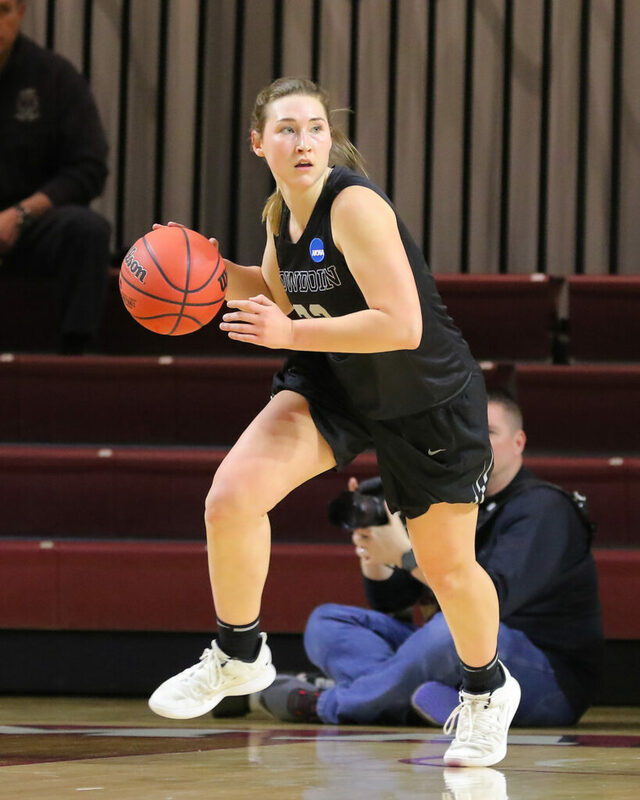 Bowdoin senior guard Hannah Graham ended her career with a solid game, finishing with 14 points.